The station will include an accessible pedestrian overpass, secure bike parking, a bus interchange and car park. 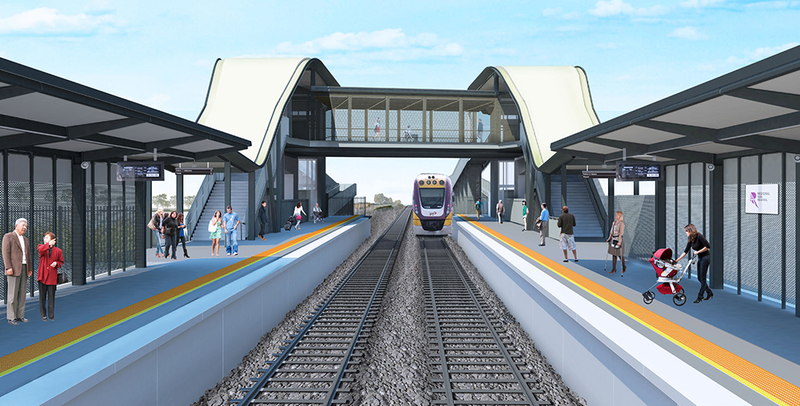 It is being delivered as part of the half-a-billion-dollar Ballarat Line Upgrade and will eventually service a community of 55,000 people, a massive increase from the area’s current population of around 1,000. The new station will be near Ferris Road in the suburb of Cobblebank, and will be a central feature of a planned town centre that will include community facilities and retail shops. Visit our website for more information on the new station.